Imagine the amount of weather that it has to face throughout the year; rain-water and harsh sunshine can bleach the colour of the wood and foot-traffic will wear away any protective layers. Catching hazards early is key to avoiding more costly damage in the future and by fixing potential problems, you’ll have the advantage of being able to avoid a much larger problem. Cracking - cracks don’t just show visible damage to your decking, but they also allow moisture to enter into wood. It’s this deep-down damage that you need to avoid as that could lead to rot and having to replace individual boards, or in the worst cases, the entire deck. Fixings coming loose – nails and/or screws coming loose don’t just cause a hazard for people walking over the surface but it also means that more of your decking could start to disintegrate. Warping - your wood decking can warp as a result of stress or uneven shrinkage, which can be caused by weather and foot traffic over time. Once one board starts to warp, the others can follow, so it’s beneficial to fix this as soon as you see it. Dirt - Dirt and leaves can start to block up spaces between the decking, this quickly ages the look of the wood. Avoid letting potential stains like bird droppings stay on the wood too long, otherwise the stain will be much harder to remove. Once you know what signs to look out for, you should be prepared to fix and protect your wood as soon as possible to prevent further damage. 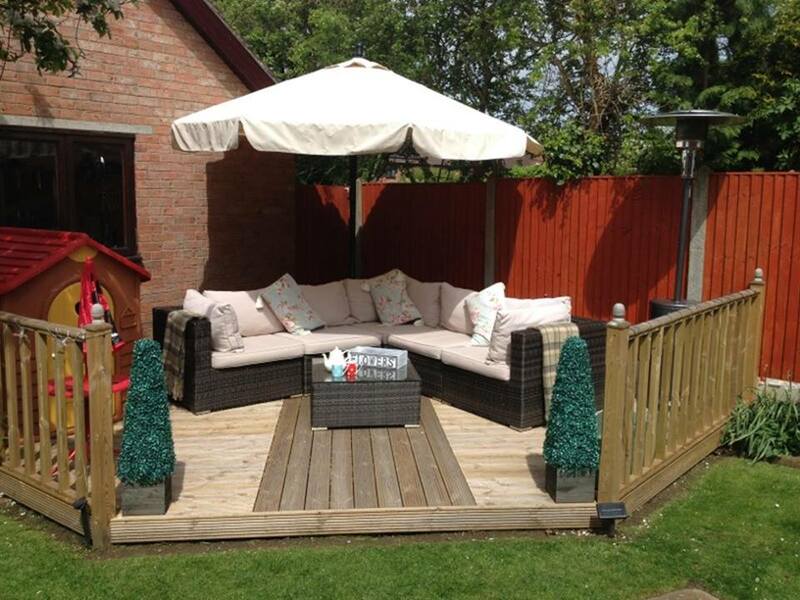 • Minimise damage to the surface of the decking, keep pets claws clipped and try and avoid walking on it in high heels! For more tips on how to protect your deck please talk to one of our team on 01472 350151.